OSHA Research Papers explore the Occupational Safety and Health Administration and their role in protecting the health of America's worker. 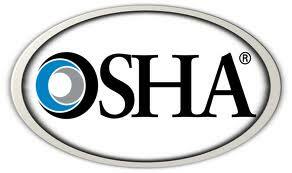 Research papers on OSHA may discuss any one of the many duties that the administration attempts to accomplish for the worker and the employer. Paper Masters will custom write any project you need on OSHA and focus on either the governmental aspect, employee aspect, worker issues or the programs that OSHA has. Supports the Consultation Programs offered by all 50 states, the District of Columbia, Puerto Rico, the Virgin Islands, Guam and the Northern Mariana Islands. With the realization that OSHA has such an extensive reach within the context of worker safety, there is an impetus to understand the legislation that governs organizational action in general. To this end, this investigation considers the Occupational Safety and Health Organization as it relates to the health care industry. By examining issues such as protection against bloodborne pathogens, hepatitis immunizations and the worker’s right to know, it will be possible to provide a more cohesive understanding of how the organization works to improve the safety of employees in this industry. In addition, by considering the laws that have been put in place by OSHA to protect healthcare workers, a greater comprehension of the need for such regulation will be garnered. Critically evaluating what has been written about the role of occupational safety and health in the healthcare profession, it is evident that this industry presents a rather precarious conundrum for safety officials. According to one author, “The nation’s healthcare system is in a transition of potentially historic proportions, driven by the need for cost-effectiveness under pressures of cost containment and competition, but also made possible by scientific and technological breakthroughs. This transition presents new challenges and opportunities for protecting the health and safety of our nation’s healthcare workers.” What this effectively suggests is that even when the issue of safety is one of paramount concern what can reasonably be done to protect safety must be balanced with cost containment issues. Despite the fact that cost containment issues are a sizable concern when it comes to safety in the healthcare industry, a precursory overview of current literature on the topic of OSHA and the healthcare industry reveals that the most notable efforts to improve safety in this profession have focused on the use of needles and the spread of bloodborne pathogens. Beginning in the early 1990’s, OSHA developed its Bloodborne Pathogen Standard, which sought to protect healthcare workers from contracting dangerous illnesses via infected needles and blood samples. Although the legislation mandated specific disposal procedures for needles and syringes, by 1999 OSHA had developed a more comprehensive law to further ensure the safety of healthcare workers utilizing syringes and needles: the Needlestick Safety and Prevention Act. Construction Industry Hazards and Government Solutions began in the 1900's but hit a major milestone in 1970 when Nixon established a government agency to regulate workplace safety, namely, the Occupational Health and Safety Administration. Fall Protection in the Construction Industry came about when many injuries and fatalities were occurring amongst construction workers in the early 1900's. North American Chemical Association - Although the chemical industry was marked by the Occupational Safety and Health Administration (OSHA) in 1971 as one of the specific industries included in its Target Industries Program. Workplace Bullying and Harassment research papers look at statistical data that can be used to illustrate the far-reaching scope of the problem. Fast Food Workers - Working conditions entail repetitive tasks, handling potentially dangerous equipment with little or no training, and long, irregular shifts. Occupational Health and Safety Research Papers examine the goals that protect people in the workplace environments. System Safety Engineering - System Safety Engineering and management Essays are part of our research papers on science and technology for college students. Paper Masters writes custom research papers on OSHA and explore the Occupational Safety and Health Administration and their role in protecting the health of America's worker.